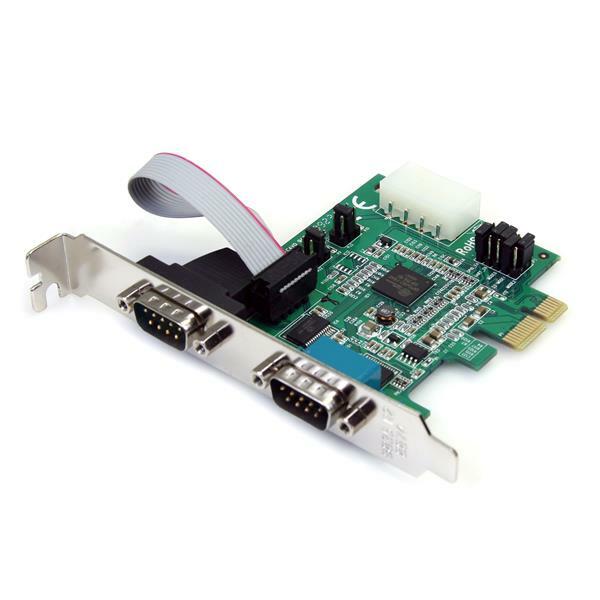 The PEX2S952 PCI Express based serial card turns a PCI Express slot into 2 RS-232 (DB9) serial connections. 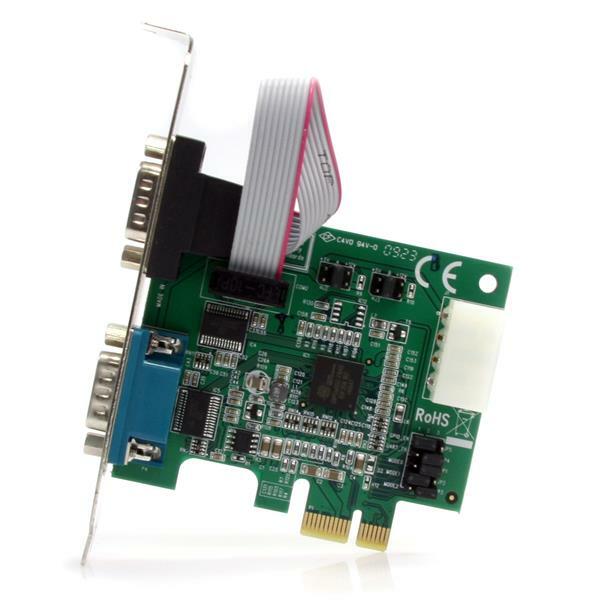 The adapter card is based on a native single chip design, that allows you to harness the full capability of PCI Express (PCIe) - providing optimum reliability and speed while reducing the load applied to the CPU by as much as 48% over conventional (bridge chip) serial cards. 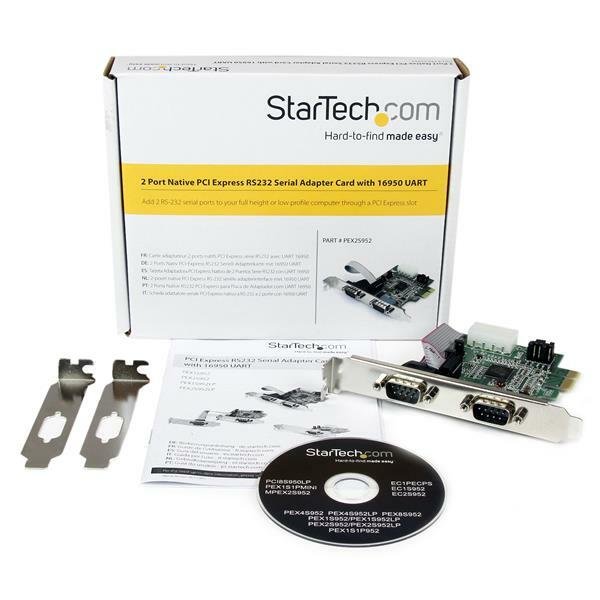 The RS232 Serial Adapter Card is compatible with a broad range of operating systems, including Windows® and Linux (Kernel 2.6.11 to 4.11.x). 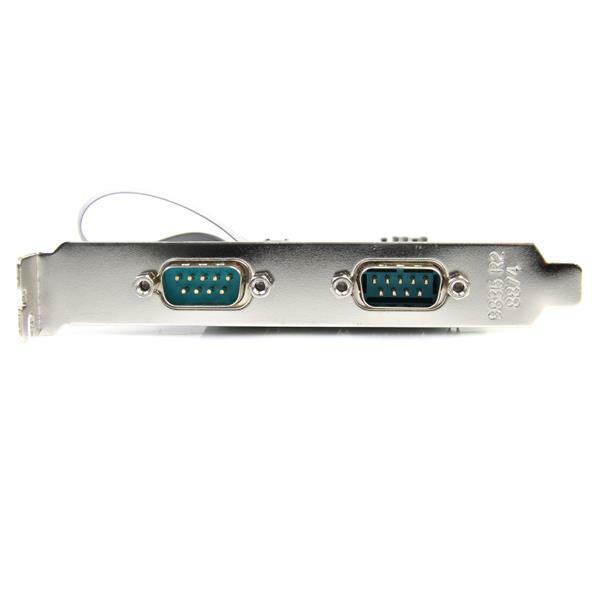 Plus, the adapter card includes an optional half-height/low profile bracket that allows the card to be installed in virtually any computer case - making it that much easier to add serial ports to a PCI Express enabled computer, regardless of the size of the computer case.